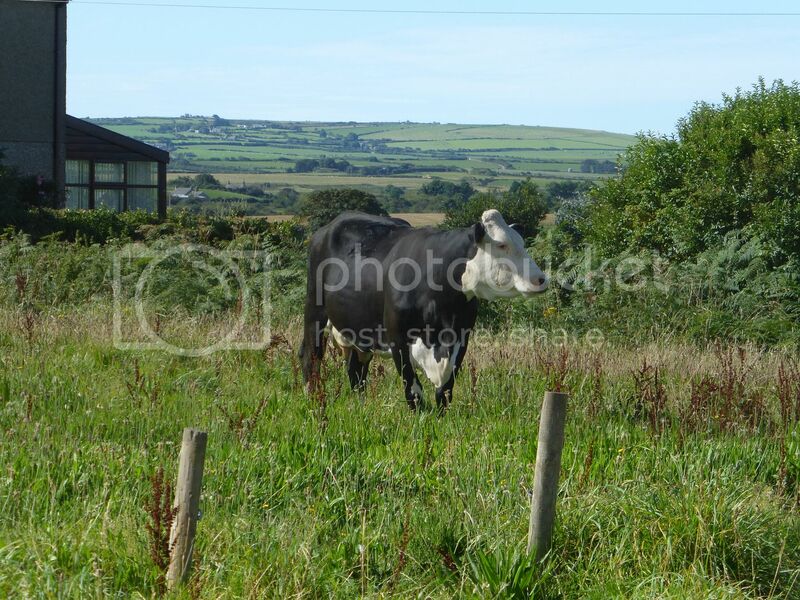 Posted: Sat Aug 27, 16 10:42 am Post subject: Two cows. Two cows and their calves should be arriving here this morning. Not ours I hasten to add but a local farmers, whose bringing them to help keep our grass down. I'm really looking forward to having them, it'll give me something to look at Over the Gate. Two cows became three cows with two calves and one expecting. I almost feel like a real farmer. nice ,please be careful around them,moos with little moos can be a bit overprotective,most are fine but a few can get rather "interesting" ever so quickly. Relax, Bodger is quite used to mad cows. My nutters, complete with horns, came from there. my memory must be on hold today i had forgotten you are very moo experienced. the linky reminded me about mincey boy ,he was nowt compared to the killer kerry who was truly dangeroos. getting a hair tuft for dna to register her calf was interesting ,we made the nice young french vet lady (who thought the kk looked "playful" ) to stay out of the pen while i did "rodeo clown" and paul eventually grabbed a tuft and like a minoan bull jumper escaped the pen. after said tuft was secured to a card with sellotape the vet just looked at us and said "i zee why vous did zat, thankyou". 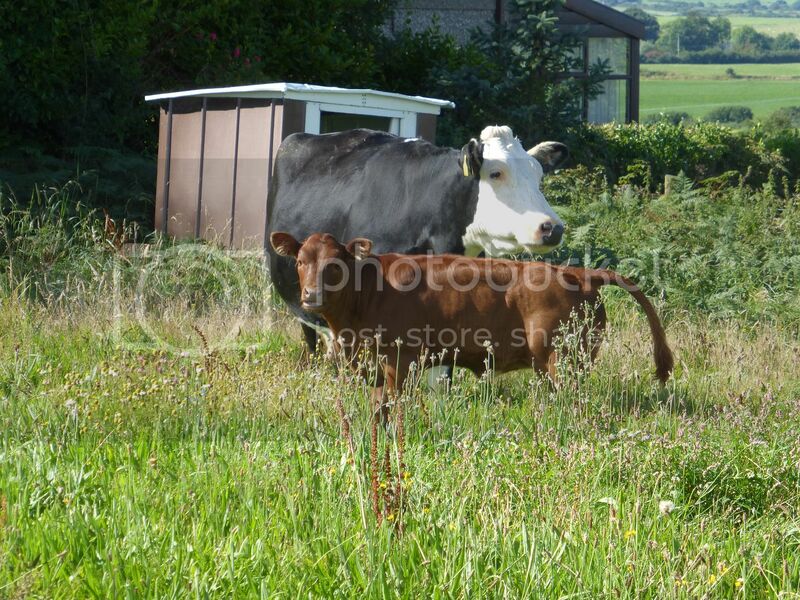 I am moo experienced, but don't go into other folks cows, especially sucklers with young calves for any reason unless accompanied by the owner; they can be over protective, quite naturally, and probably more dangerous than the bull who runs with them! 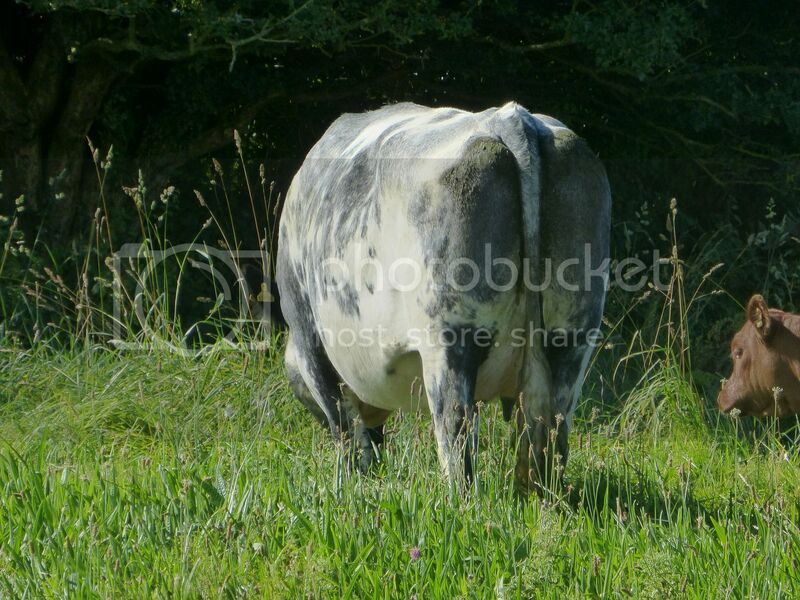 Good looking cows however.